Comment: Need a 8'x8' slab poured outside my patio for holding barbecue grill. If interested then email me at xxxxxxxxxxxxxxxx please, I do NOT answer my phone if I do not know the caller. Comment: Replace 1 section of concrete driveway 16' X 24' and adjacent sidewalk 3' x 24' (approximate dimensions) with broom finished concrete. Comment: I have quote now for project at $3500. Wish to confirm it is fair; 740 sq. ft. 5 inch. thick, rebar, trowel finish. 3 Expansion joints totaling 54 ft. Adjacent to city street so access is easy. Comment: I had another contractor try to fill in some cracks and then paint entire driveway. They did a totaly unacceptable job. Cracks show worst than before. Sugar Land Concrete Contractors are rated 4.73 out of 5 based on 987 reviews of 63 pros. 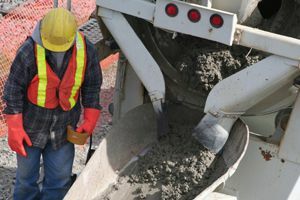 Not Looking for Concrete Contractors in Sugar Land, TX?